Pull out a light sweater and grab your friends and family for some great times in Nashville and Middle Tennessee this fall season. 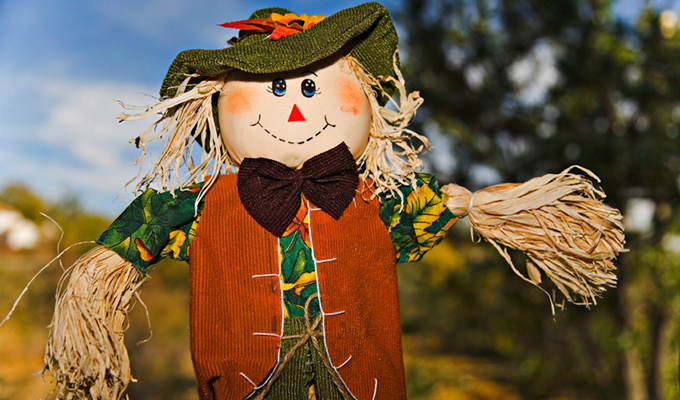 The temperature is perfect for a little outdoor adventure, Hayrides, Corn Mazes, Horseback Riding, Pumpkin Patches all round out the fun of a good old fashioned Fall Festival. 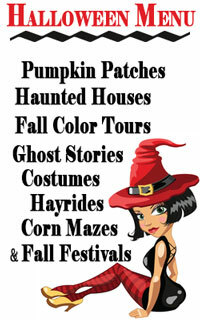 Below is a complete list of Nashville and middle Tennessee Fall Festivals. Little Italy can be found in Nashville each year at Nashville Italian Lights Festival. Held on the beautiful campus of St. This Annual event is The festivals of Mexico and Latin America are world renowned for their colorful decorations, energetic music, and cultural significance. Los Dias de los Muertos, the Days of the Dead, are no exception! Celebrate everything Nashville at the Made in Nashville annual festival. Each year on the 2nd Saturday in October Nashville's Germantown hosts more than 200,000 people at their annual Oktoberfest celebration that honors beer-drinking and merrymaking of the traditional autumn festival held in Munich, Germany. The Nashville Greek Festival offers a rich, multi-sensory experience of Greek hospitality and culture. Music & Molasses Arts & Crafts Festival - This annual country celebration of the harvest season draws several thousand people to the museum each year! Pilgrimage is a music and cultural festival taking place in Franklin, TN. Pilgrimage Music & Cultural Festival was inspired by friendship, history, and the desire to create a meaningful experience. Each year the city of Mt Juliet host a family friendly fall festival at the Charlie Daniels Park called Halloween in the Park. Bring your little ghouls and goblins and enjoy our family-friendly Booville at Nashville Shores. Centennial Craft Fest returns each October to welcome the fall season and celebrate the craftsmanship of local food, drinks, musicians, and vendors. This free family event is held at Centennial Park on West End in Nashville. A Nashville fall tradition of celebrating and supporting American handmade craft at this premier event on the lawn in Centennial Park. Shop one-of-a-kind, finely crafted artwork directly from award-winning artists. Every fall the African American Cultural Alliance host a family oriented African Street Festival with Ethnic Cuisine and International Vendors. Held in Hadley Park in Nashville. Free Admission and Free Parking. The Southern Festival of Books: A Celebration of the Written WordSM is a three-day Festival celebrated each year during the second full weekend of October. It is free and open to the public. No advance registration or tickets are required. The Annual Fall Fest at the Hermitage is a spectacular weekend of art, music, and history at Andrew Jackson’s Hermitage: Home of the People’s President. Proceeds from the festival benefit the Hermitage. TICKETS TO FALL FEST ARE FREE! Explore Murfreesboro’s most mysterious mansion and experience some of the unusual mourning customs and creepy superstitions of the Victorian era at Oaklands Mansion. Nashville's Premier Children's Mobile Party Business. We are passionate about creating exciting visual and entertainment experiences that your children will cherish for years to come! The best part of Halloween might just be the Costumes Tell us another time when you can you dress like a zombie or a pirate, or a princess yeah this has to be the best part of the season.